Swimming under water with eyes wide open can result in a number of problems which are a serious cause of concern. It can cause redness of the eyes, the dryness and also stinginess. There are several chemicals in the pool which have a pH level as it can affect the eyes adversely due to the openness of the eyes while swimming in summer. People who wear contact lenses or even corrective lenses need to be extremely cautious as you might lose them while swimming in summer. 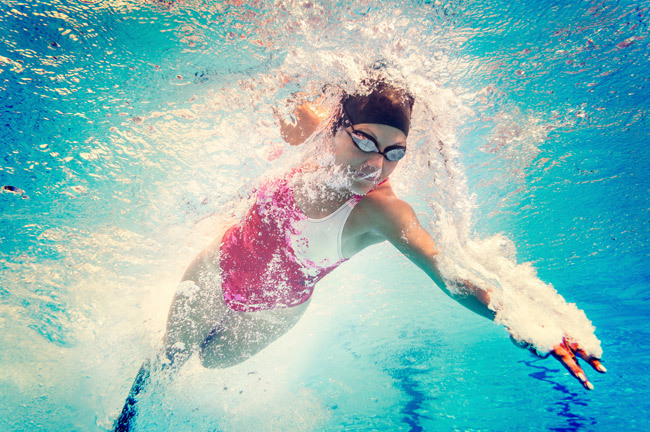 Eye infections and inflammations are widespread among swimmers. Most commonly reported eye infection is pink eye or conjunctivitis. Bacterial conjunctivitis can be treated with antibiotic drops or ointment. The Centers for Disease Control and Prevention (CDC) explain that symptoms like, burning eyes in a swimmer using an indoor swimming pool might be due to water quality, air quality, and pool disinfecting chemical issues resulting in higher levels of chloramines. The chloramines are what cause your eyes to sting after you swim. Chloramines are a by-product of the pool disinfectant chlorine. When chlorine interacts with sweat and other things brought into the pool (by a swimmer, a pool toy, etc. ), chloramines are formed. As the level of chloramines (the “bad” stuff) goes up, the level of chlorine (the “good” stuff) goes down. If the level of chlorine gets too low and the level of chloramines gets too high, then that swimming pool smell, along with the other uncomfortable results, can occur. 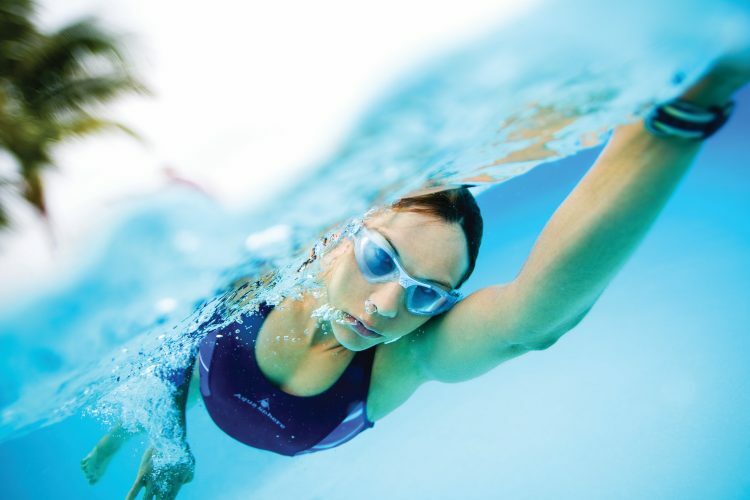 Wear goggles so that there is not a direct contact of water: They will make your vision clear. They will protect you from the contact of harmful chemicals. The harmful UV rays of the sun can permanent eye damage such as cataracts, macular degeneration and yellowish growths on the front of the eyes. In addition, certain medications like tetracyclines can increase your sensitivity to UV radiation. To relieve red eyes and foggy, blurry vision after a day at the pool, flush the eyes with fresh water or a saline solution. Foggy eyes is a result of pool water being absorbed into the corneas by osmosis. As that happens the cornea swells a bit and the vision gets cloudy or foggy. Usually the cloudiness will fade over 30-60 minutes. Cold compresses and lubricating eye drops can help ease the itching and burning. If the irritation persists for more than a few hours after swimming, or doesn’t respond to self-care, see your eye care professional. Do not swim in a pool with leaf litter. Avoid swimming with large numbers of people. Wash before entering the water. Do not rub your eyes after swimming. Stay home. Do not go to swimming pools or other public places if you have an eye infection. Wash hands with soap and water after swimming. Swimming is no doubt a great aquatic exercise but one that calls for care and hygiene.